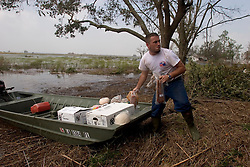 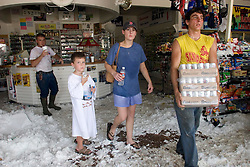 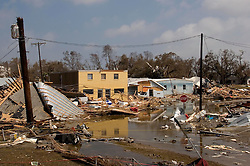 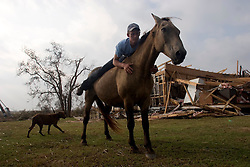 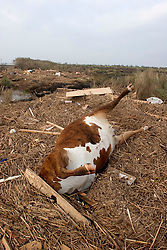 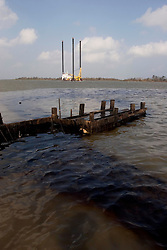 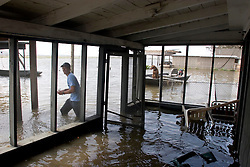 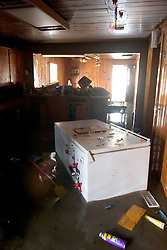 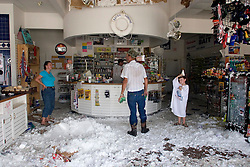 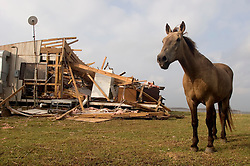 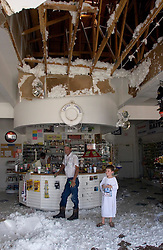 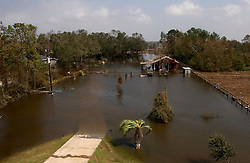 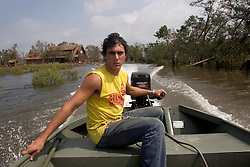 Hurricane Rita destroyed Cameron Parish. 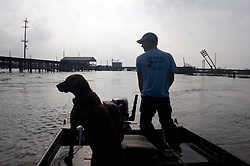 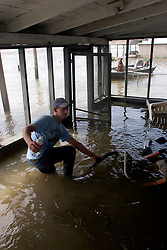 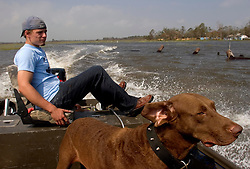 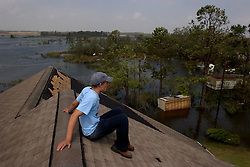 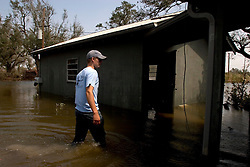 Aaron Stokes and his dog Maggie check on family property ravaged by the storm as he tours the swamps and bayou's checking on neighbours and their homes. 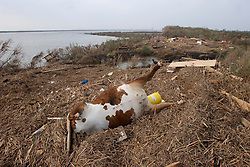 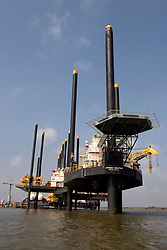 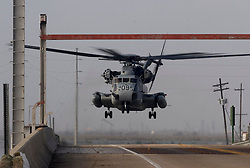 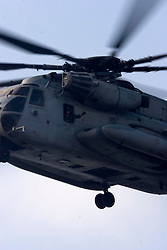 Oil platforms, oil spills, FEMA, flooding, dead animals.